These days, it seems like new employment laws are a frequent occurrence, with legislation ranging from fair workweek initiatives to predictive scheduling. Good or bad, such regulations typically come with their own laundry list of action steps, asking employers to accommodate the new requirements quickly, no matter how burdensome. Recently, New Jersey legislators re-examined how employees accrue sick time. The New Jersey Paid Sick Leave Act goes into effect this month, on October 29. Among other things, under the new law, employers must allow employees to accrue one hour of sick time for every 30 hours worked. The New Jersey Paid Sick Leave Act has a few different mandates, which this article will attempt to summarize briefly. As always, we suggest consulting with an employment attorney or expert to fully understand the law’s ramifications. First and foremost, the law states employees must be allowed to accrue one hour of sick leave per 30 hours worked, with a cap of 40 sick leave hours per year. Should an employee not use all their sick time, their employer must pay them for any hours left outstanding at the employee’s regular rate of pay. The nice thing about the law for employees is it can be applied broadly. In fact, the law specifically states sick time may be used in the event a parent must leave to care for a child whose school has been closed due to a public health emergency. Given the chances of such an event are relatively small, it’s safe to say most any health-related affair would qualify an employee to use their accrued sick time. But the New Jersey Paid Sick Leave Act doesn’t just benefit employees. It also ensures employers retain some control over when employees can take their scheduled sick time and how much advance notice an employee must give, prior to taking time off. First, the law states employers may require up to seven days’ notice of an employee’s intention to use their sick time, assuming the event is expected. While employees would still be able to take time off for unforeseen emergencies or sudden illnesses, they could be asked to notify their employer a week ahead of time if they wanted to take time off for a scheduled appointment. In the case of a last-minute request, employees should give their employer as much notice as possible. Under the law, employers are also empowered to establish blackout dates throughout the year, meaning employees would not be allowed to schedule sick time during that period. Should an employee need to take time off during that time or on any other day, employers are prohibited from discriminating or retaliating against the employee. Finally, the law asks employers and employees alike to leave a paper trail. That means employers may request “reasonable documentation” such as a doctor’s note, should an employee be absent for three or more consecutive days. It also requires employers to keep records for any employee hours and sick time for a minimum of five years and post information about employee rights under the New Jersey Paid Sick Leave Act somewhere in the workplace. The law currently exempts construction industry employees and per diem healthcare workers. Worried about making sure your time tracking software is set up to accommodate the accrual requirements under the New Jersey Paid Sick Leave Act? Don’t be! TSheets has everything you need to set up sick leave accrual, with the option to customize your settings for each employee individually or change the default for everyone in one fell swoop. You’ll find a couple different resources on our site, including this step-by-step guide (click on “How to Add or Adjust Employee Accrual Settings”) or this new video, recorded by our own Annie Densley, specific to the New Jersey Paid Sick Leave Act. system that won’t leave you in the cold. 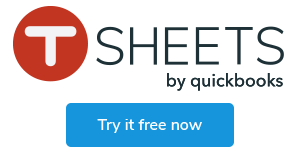 Try TSheets free for 14 days! Disclaimer: The content is intended to be informative and was accurate at the time of publication. It should not be relied on for tax, legal, or accounting advice. You should consult your own tax, legal, and accounting advisors before engaging in any transaction.